Catch these problems before they impact your Net Promoter Score. “Customer Experience will overtake price and product as the key brand differentiator by the year 2020.” That is a bold statement from a 2013 report that is arguably ringing truer every day (Customers 2020: A Progress Report, Walker Information, 2013). I believe that customer experience (or CX, as I’ll refer to it) is a key driver for some of the world’s most successful brands—and, conversely, brands that cannot consistently deliver great CX will continually struggle to survive, even if they have a superior product. Indeed, according to Bain & Co., “Companies that excel at customer experience grow revenues 4% to 8% above the market” (Five Disciplines of Customer Experience, Bain & Co., 2015). How good is your CX? If you’re like many organizations, you may not truly know. You certainly think CX is a priority. You’ve invested in redesigning or upgrading your CX. But do you actually know how your customers feel about the CX you deliver? It’s no wonder so many of us don’t know how we’re doing—96% of customers won’t tell organizations if they’ve had a bad experience. So, how can you tell if the customer is happy? When I discuss this with CX professionals, I often hear that measuring CX is difficult. The most common gauge of CX performance is an organization’s Net Promoter Score (NPS). Other similar metrics are Customer Effort Score (CES), Customer Satisfaction (CSAT) scores, the number of customer complaints, customer churn rate, and even social media chatter—all are good indicators of how your brand is holding up. However, a big shortcoming of all these metrics is that they reflect a customers’ experience after their interaction with your brand. In other words, it’s like looking in the rearview mirror when you really need is to look at what’s happening now. What we really need is a way to measure customer happiness while our customers are interacting with our brand at every stage of the customer journey, and across multiple channels (website, chat, phone, chatbot). One of the techniques brands can use to gain real-time insight into what is happening to their customers across these touchpoints is to implement technology that creates synthetic interactions with a virtual customer across all customer engagement systems, and then alerts you to issues—irrespective of whether your customers tell you or not. This virtual customer becomes your biggest complainer, and your biggest friend—in other words, the canary in your CX coal mine. Catching those early warning signs and then quickly interpreting them is the key to remedying issues before they become a crisis, ensuring a smooth customer experience, and ultimately maintaining those winning NPS and CSAT scores. 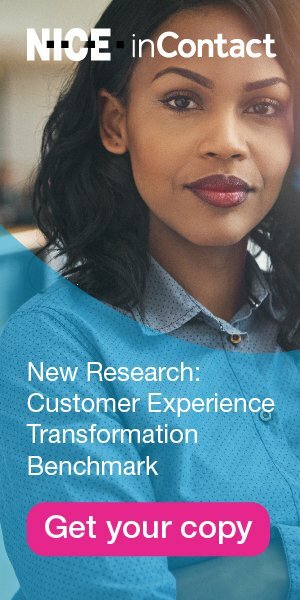 Based on data derived from working with hundreds of global companies that closely monitor their CX systems across IVR, call routing, web, chat, email and SMS, we’ve identified the patterns that indicate there’s a problem—especially those that require immediate intervention in order to avoid a deterioration of CX ratings. Here are some frontline stories that illustrate the five early warning signs your customer engagement systems are failing. Think about your systems and the extent to which you can detect or predict these situations. Increasingly, web chat is the first line of customer interaction for many consumers, especially with multitaskers such as Gen Y and millennials. But what if your agents are available, your systems are reporting that the servers are up and running, and yet some inbound chat requests are never accepted? A leading global consumer technology company managed to avoid frustrating its customers by quickly identifying a chat issue that would have shaken customer confidence in its customer service. During testing of their chat systems, we were able to find that one in five chat sessions never connected. When the IT team investigated, they were able to isolate the issue to a single server, and further investigation showed that the server was not configured correctly. The server was running (so device monitoring showed all systems were working) but the configuration was incorrect. It was only by mimicking a customer interaction that they were able to identify the issue. This is precisely the type of issue that irritates people immensely, yet they often go unreported by customers, which is why it can persist undetected. Dropped calls can be one of the most dramatic and concerning indications that there are major issues with your CX capabilities. If you’re inadvertently disconnecting your customers, you have a major problem on your hands. In recent months, we’ve helped brands diagnose and fix many such problems. For example, the call center for a healthcare provider had been alerted by customers that their calls were being dropped. Call center agents knew about it and had reported it. The IT team had investigated it but was stumped. It was through granular call monitoring that we were able to detect a pattern of dropped calls at 3 p.m. every day. When our team exposed the problem, the agents said: “Oh, right, the 3 o’clock problem!” Once IT were given this clue, they could isolate the issue to server updates that occurred daily at 3 p.m. Problem solved! Conversely, a rapid increase in calls can also be an early sign of a CX problem. During the 2017 Black Friday shopping season, a top U.S. retailer was alerted by its CX monitoring systems to a sudden big spike in customer calls, with a response time that was growing from two seconds to much longer. This would be a concern on any day, but on this most critical online sales day of the year, the CX team was on heightened alert. By monitoring from the outside in, and exposing the details through a CX dashboard, the retailer identified several issues, including a server delay on its end and a separate problem with its third-party credit card processor. Armed with detailed information from the monitoring platform—call recordings, the URL and the numbers being called—the retailer was able to identify and remedy the issues quickly. In addition, the response team was able to avoid a time-consuming manual assessment and immediately triage associated causes, partner with the third-party processor, and take quick action. The issues were completely resolved within two hours. Your customers will call you when they’ve exhausted their self-service options or when they need the advice of your customer service and sales advisors. These are the moments of truth that determine long-term customer value. The network connection to your branch offices may cause voice quality to be degraded for some endpoints. Voice quality for your home agents can vary for a variety of reasons. Mobile connections can add background noise that affects voice quality. The key here is to test and monitor voice quality so you can identify and correct problems. Only then can you ensure that the valuable conversations in your contact center are crisp and clear, and your contact center agents are freed to focus on meeting the needs of customers instead of correcting issues. For example, a major health insurance company monitored multiple call scenarios, and was able to identify a drop in voice quality after calls were transferred, which increased with each potential transfer. They were able to upgrade their equipment to minimize the issue, and also evaluated means to avoid transferring calls by strategically expanding the skills and knowledge of their call center agents. When was the last time you stress-tested your contact center? A big part of effective CX is making sure that the system can handle the full load of peak periods with high-volume calls. For example, one of the world’s largest direct-selling gift companies upgraded to a new Session Initiation Protocol (SIP)-based contact center routing platform and grew port capacity from 300 concurrent calls to 1,000. However, during the testing phase, the company discovered only half of its port capacity was operational due to a configuration issue, which could have led to busy signals and an inability to provide order support to the consultants. By using an automated load-testing platform to stress-test the system before deployment, the company was able to rectify the configuration issue, address the potential capacity issue, and avoid negative outcomes. The key to being able to identify these operational issues is to monitor your CX applications from the customer perspective. And the best way to do that is to create automated, synthetic interactions that replicate real-world customer journeys. Only by replicating your customer journeys will you be able to make sure that your CX applications—IVR, email, web, chat and SMS—are performing as designed, and enabling customers to accomplish their goals effectively and efficiently. Alok Kulkarni is an expert in ensuring excellent customer experiences. He founded Cyara so that enterprises can be confident that they are delivering great customer experiences each and every time, even in a world with rapidly changing customer expectations and an increasingly complex technology ecosystem.